2018 was stamped by a further deterioration of the European data security situation. According to recent studies, cyber attacks have become inexorable. This is why the German Federal Office urgently advices companies to use a reliable password management system. As a provider of professional IT security solutions, MATES0 has proven successful with its well-established Password Life Cycle system. The risk of cyber attacks and data breaches is to increase even more in future. As a result, the first EU GDPR penalty has been imposed in Germany. The affected company stored its user credentials unencrypted and uncovered. This led to a hacker attack exposing all user data. To protect from hacker attacks as well as associated fines, the Federal Office for Safety in Information Technology highly recommends the use of password managers like Password Safe. Compared to conventional password management services, Password Safe offers the entire Password Life Cycle as key feature. Hackers often use the access data of privileged users or shared accounts to steal critical business data. This is why the monitoring and safeguarding of access ways is a basic task for any organization. To get across these security problems, companies often try to combine different systems and tools. ”This only makes the subject unnecessarily complicated and prone to error”, Thomas Malchar, the manager of MATESO, said. 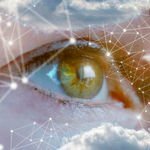 “In addition, there often exists a mismatch between the security expectations of a company and the skills of a user. Our Password Life Cycle ties in with these issues seamlessly.” Password Safe offers a modular and flexible solution for all company sizes. Moreover, the software can be implemented in existing hierarchies easily. Therefore, it can solve current security problems promptly and, at the same time, for the long run. 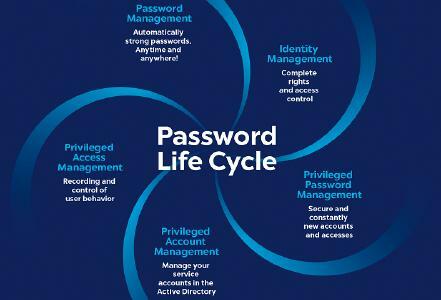 The Password Life Cycle covers five central security sectors: Password and Identity Management, Privileged Password Management as well as Privileged Account and Access Management. Thus, secure passwords can be generated, edited and reset easily. Besides that, RDP and SSH connections guarantee controlled access to the system. By using features like session recording, logs and reports, access ways and accounts can be monitored and logged. In the beginning of 2019, MATESO’s LightClient will bring security into every work place: The easy-to-use interface with a simple tile surface enables the use throughout all departments and experience levels. As a result, even inexperienced users can implement the software without the need for special training. 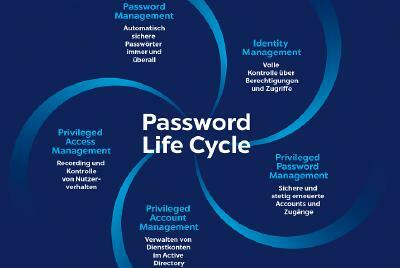 MATESO is a leading German IT company and developer of the password management solution Password Safe. Since 2006, MATESO is widely recognized as one of the most successful brands in the DACH region. Password Safe is now distributed globally through its worldwide network of certified partners. Today, Password Safe already applies to more than 10.000 companies, including 19 of the Top 30 DAX companies and several million users worldwide. IT security in decline & first EU GDPR fine: Government recommends password management systems like Password Safe.